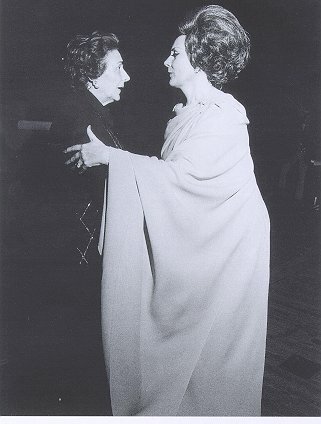 Recent additions in bold. 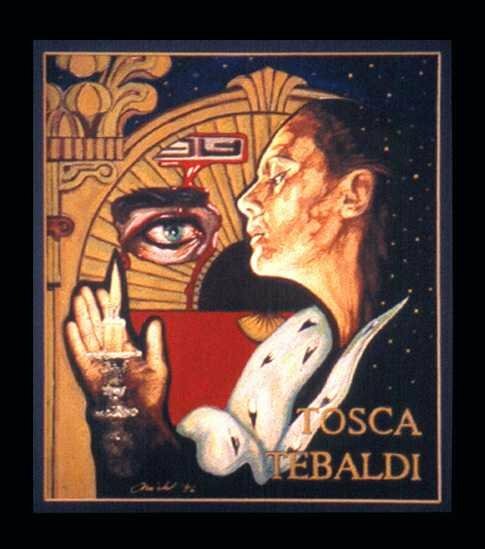 Scroll down for Tebaldi Paintings. 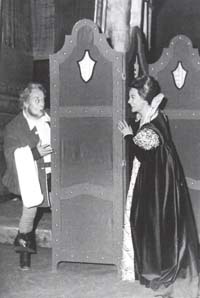 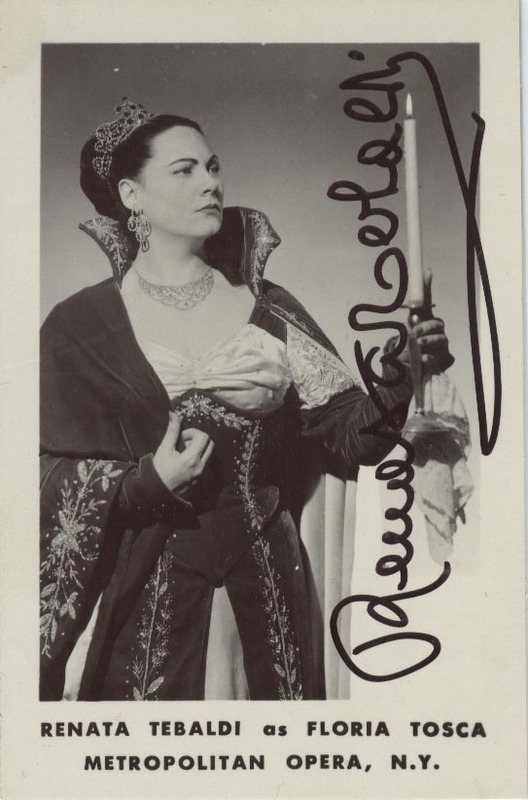 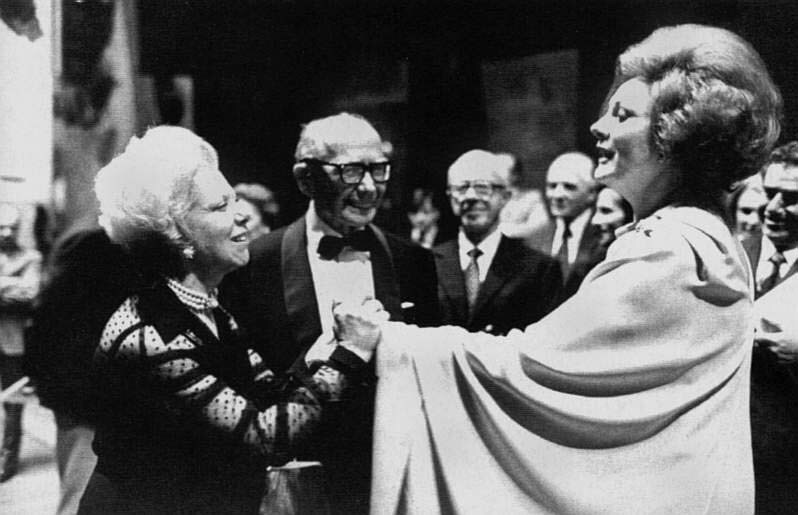 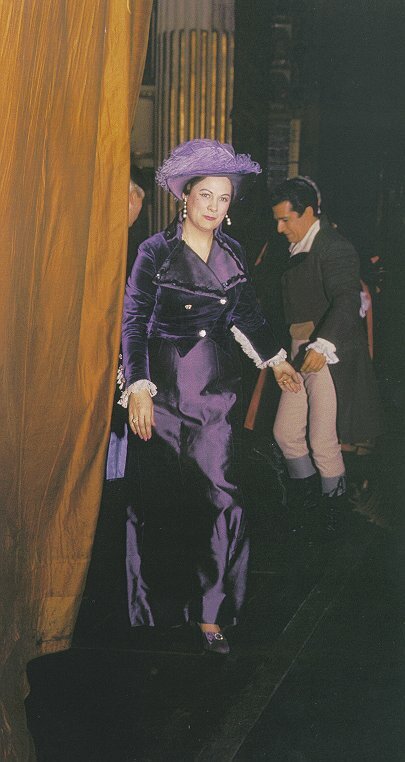 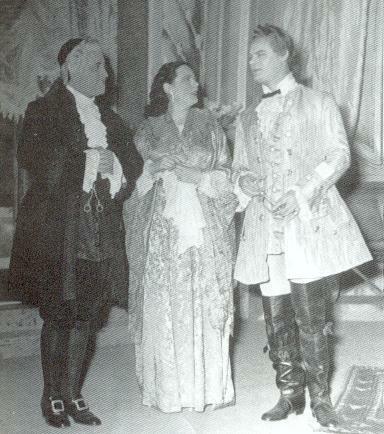 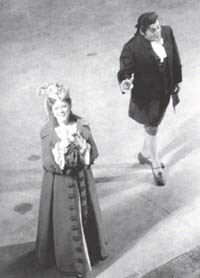 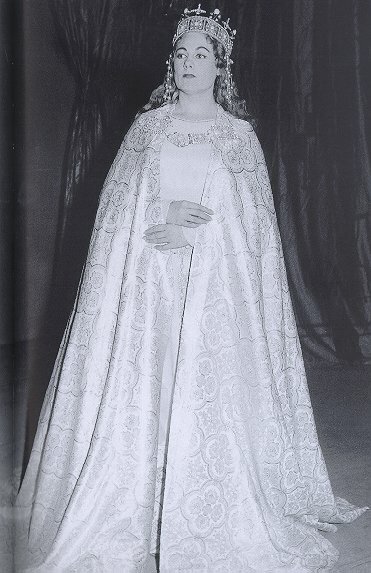 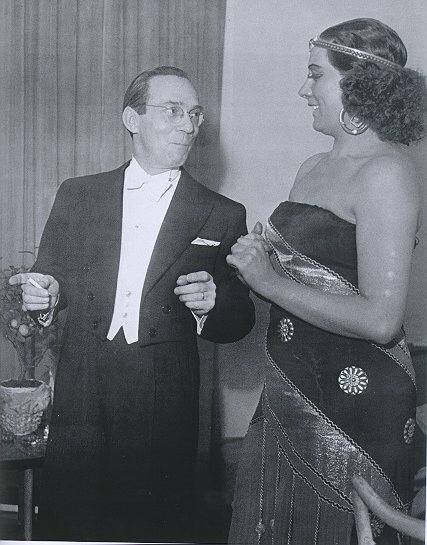 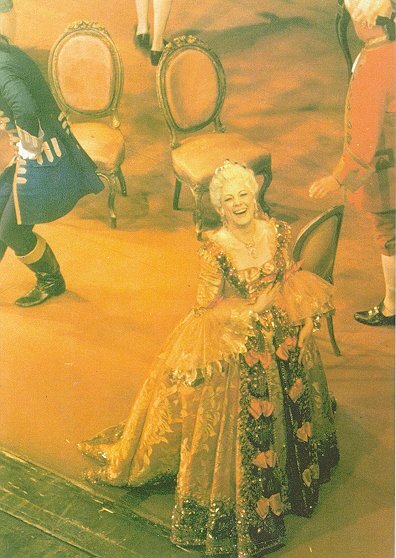 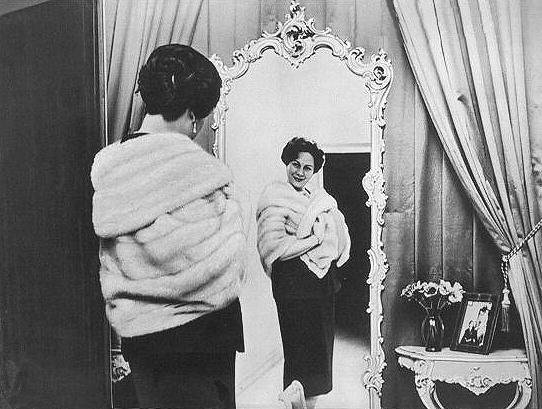 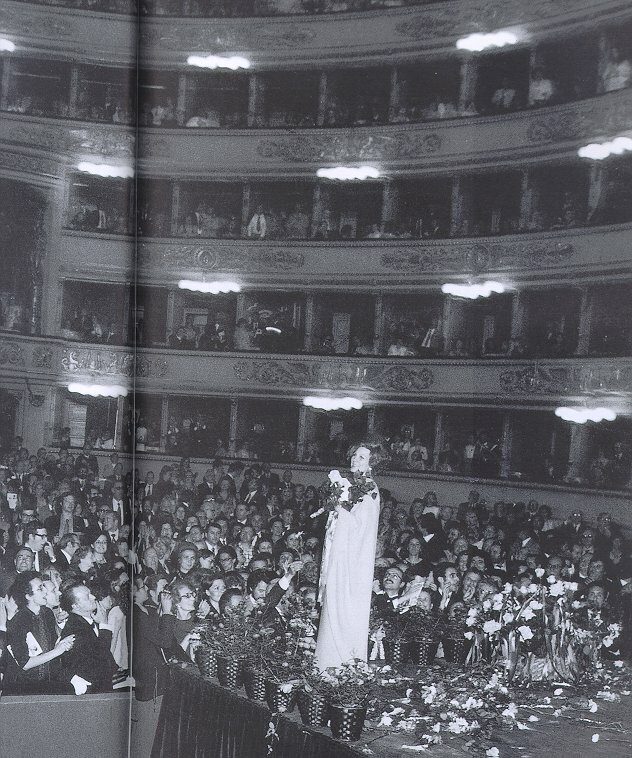 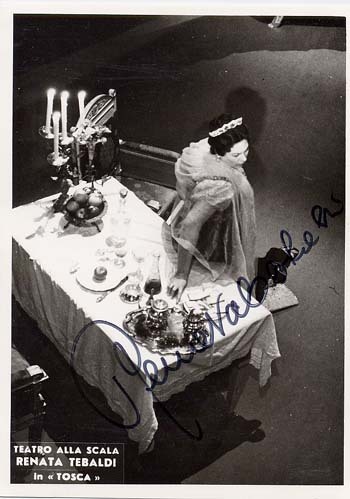 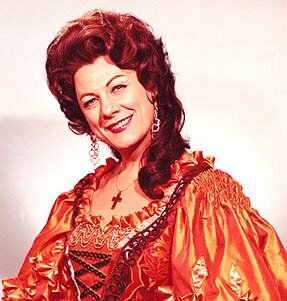 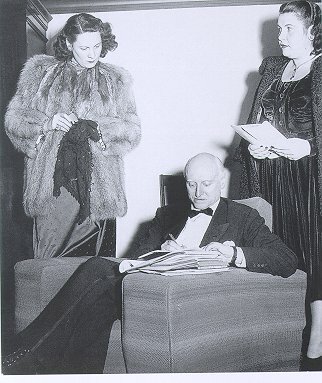 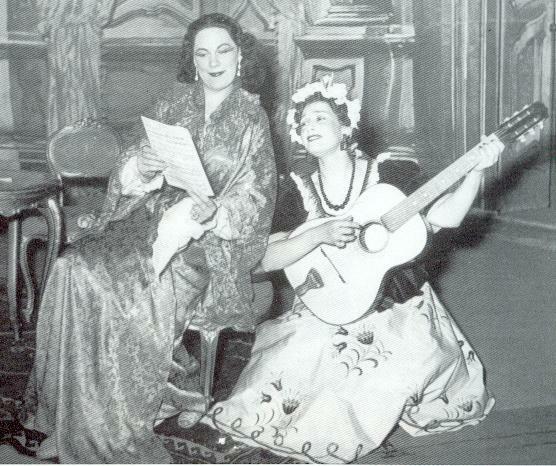 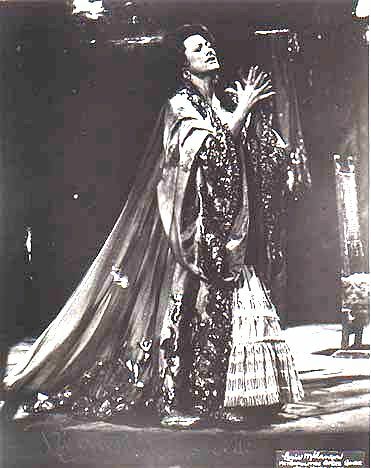 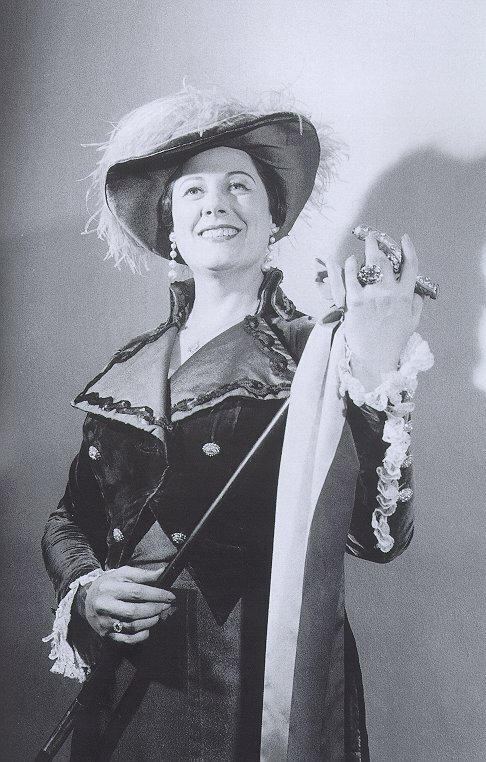 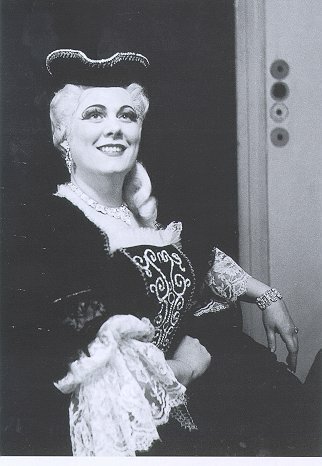 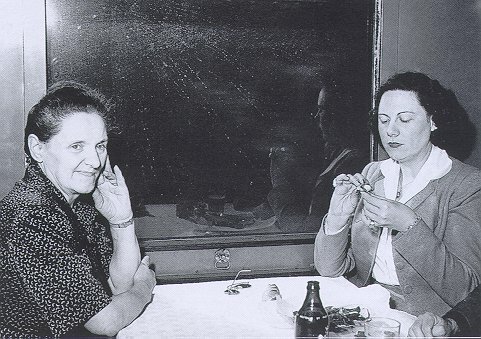 Adriana Lecouvreur in Cilea's "Adriana Lecouvreur"
Butterfly in Puccini's "Madama Butterfly"
Gioconda in Ponchielli's "La Gioconda"
Leonora in Verdi's "La Forza del Destino"
Minnie in Puccini's "La Fanciulla del West"
Wally in Catalani's "La Wally"
Violetta in Verdi's "La Traviata"
Tebaldi postmark In 2005 the San Marino post office issued a postmark to celebrate the first international Renata Tebaldi singing competition. 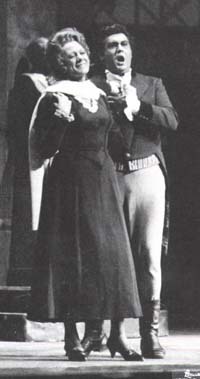 Tebaldi Costumes Pictures of costumes on display in Florence in 2002. 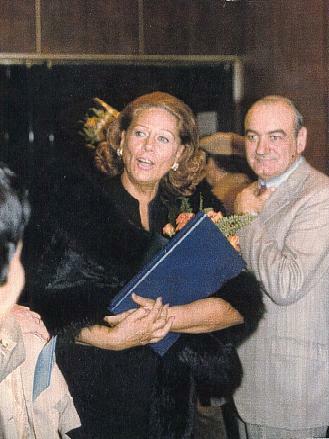 Read more about this exhibition at Mundoclasico.com (in Spanish). 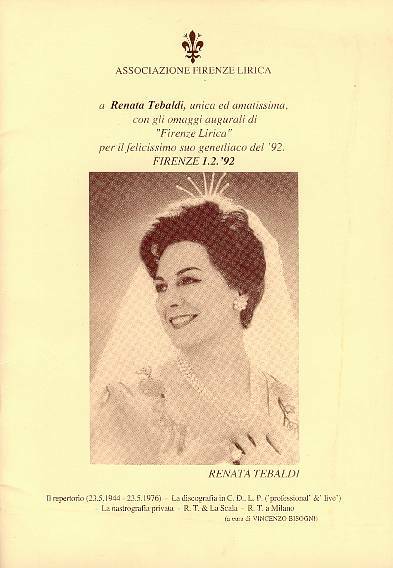 The Tebaldi Rose ** Did you know that there is a special variety of rose named after Renata Tebaldi? 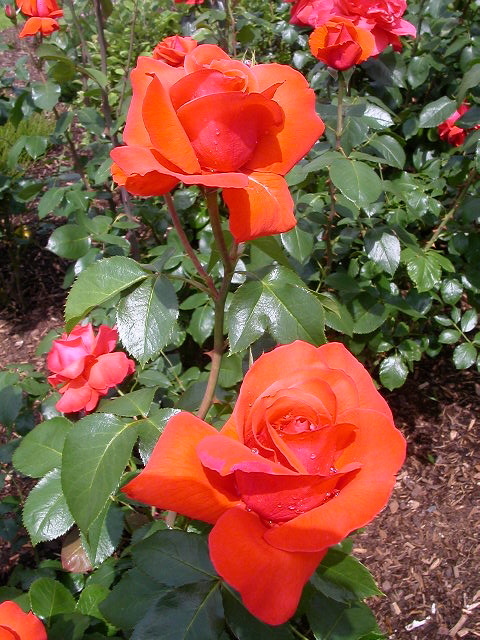 Here's a picture of the Tebaldi Rose. 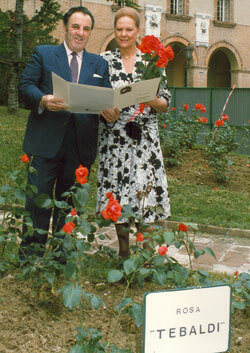 The Tebaldi Rose **** Here's another photo of the rose, with Tebaldi and Carlo Bergonzi. 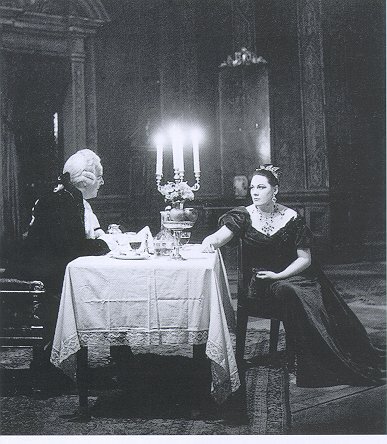 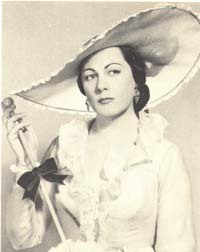 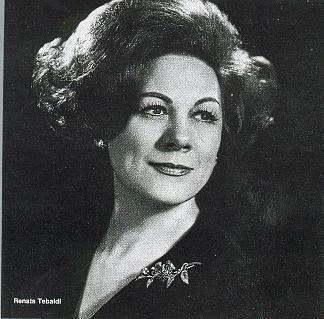 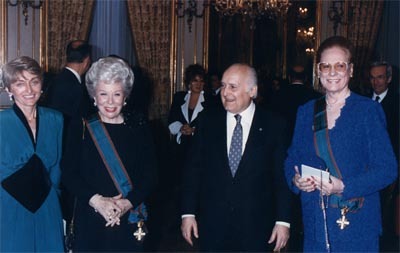 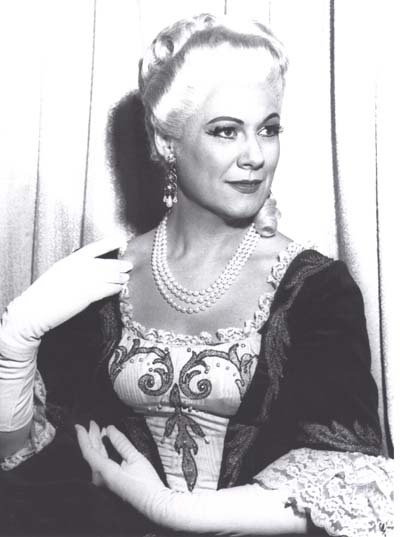 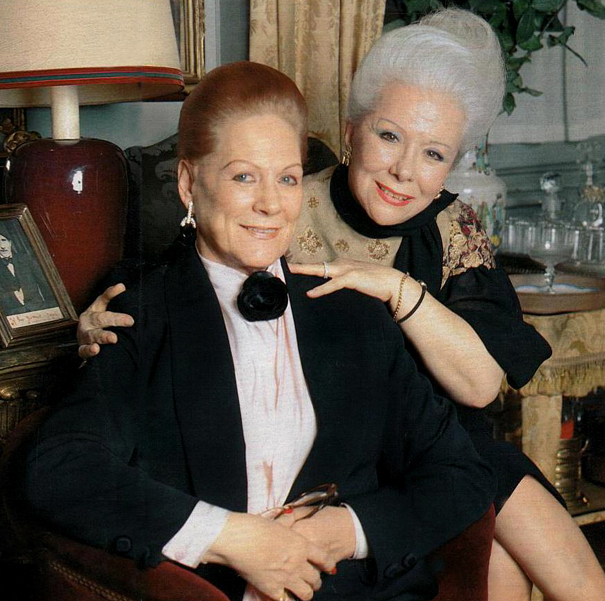 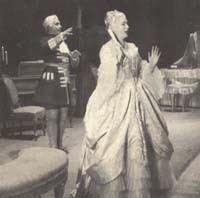 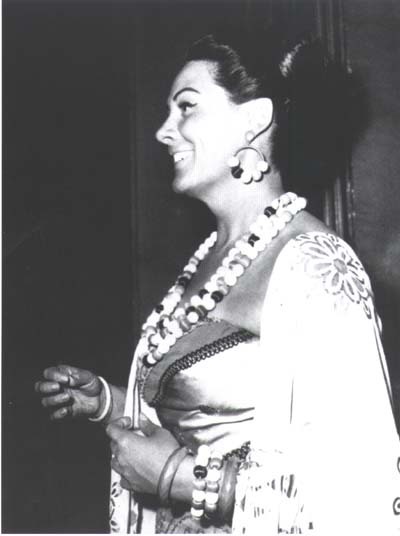 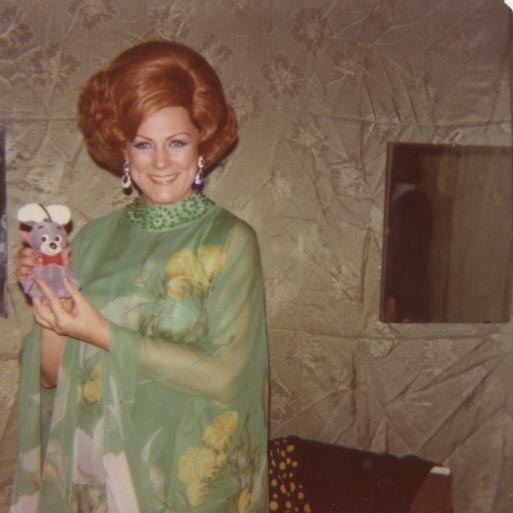 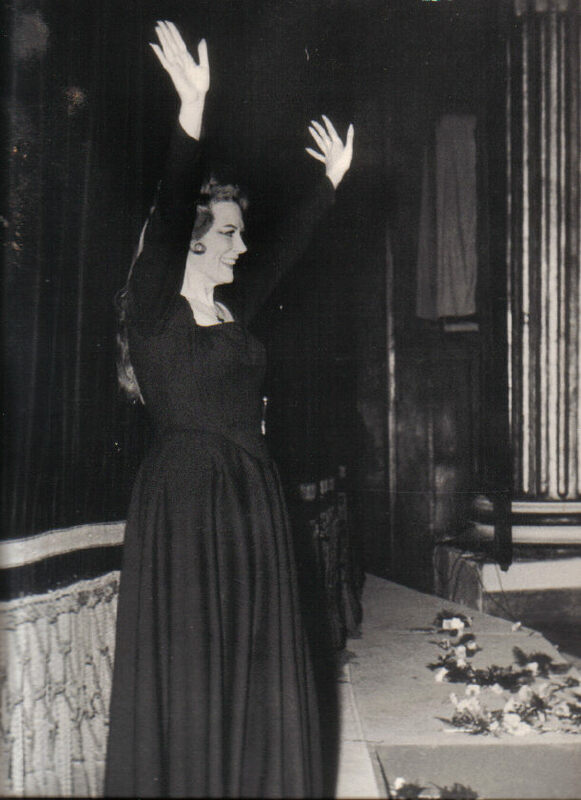 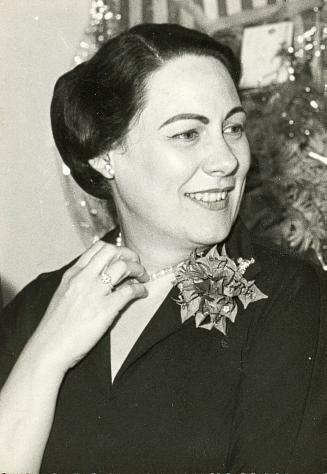 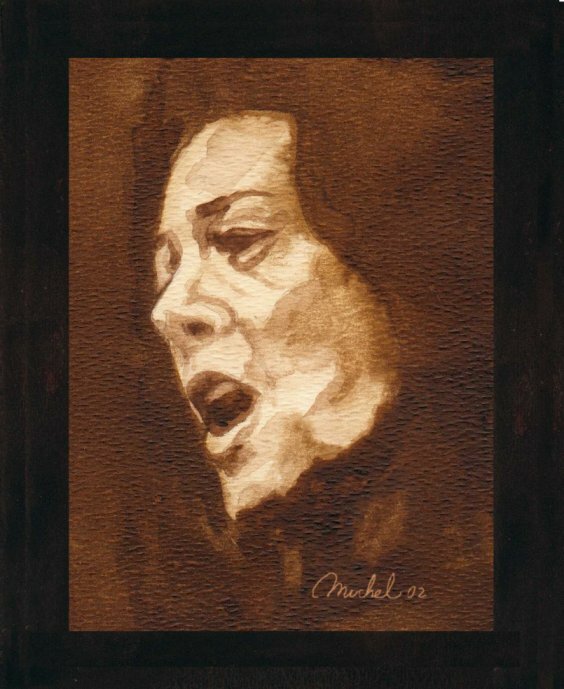 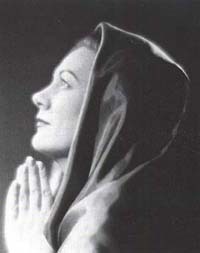 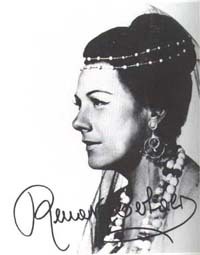 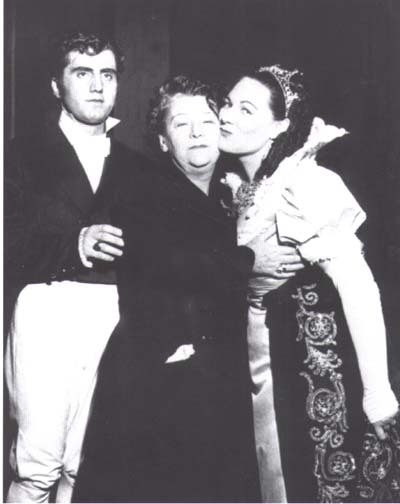 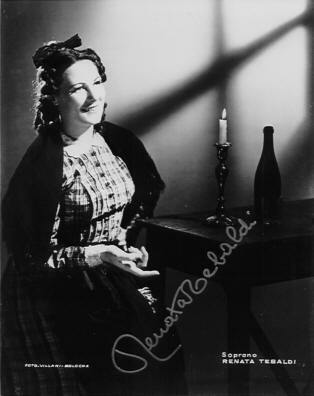 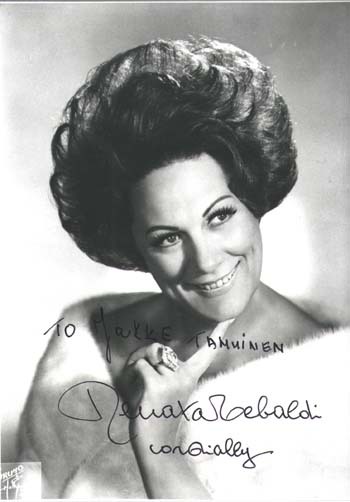 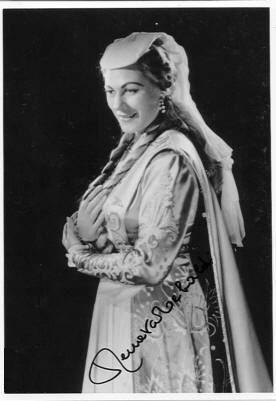 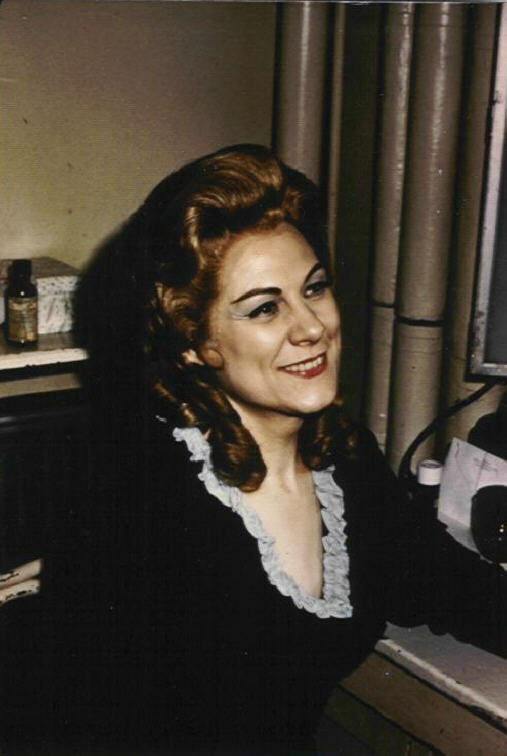 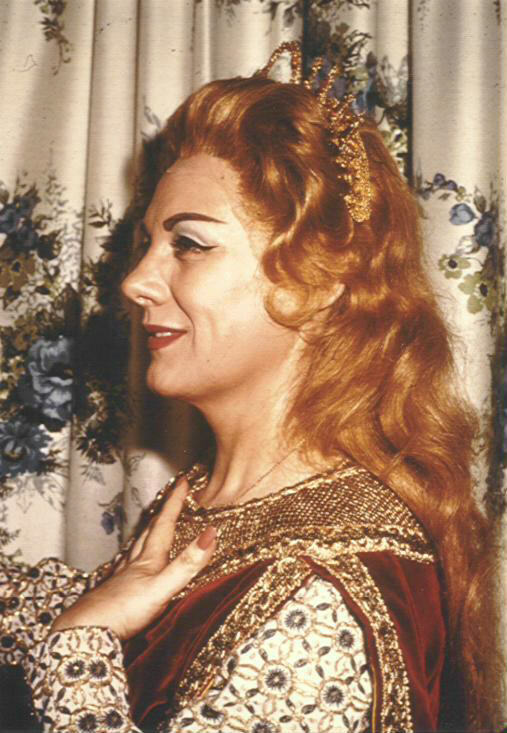 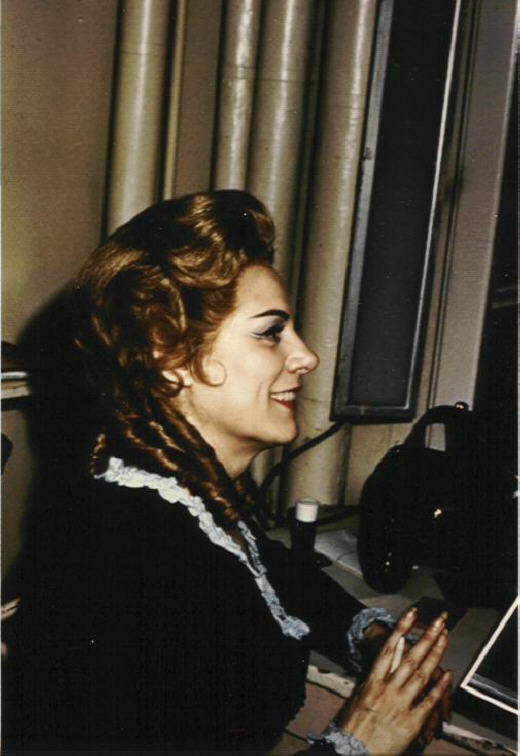 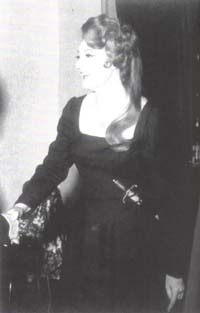 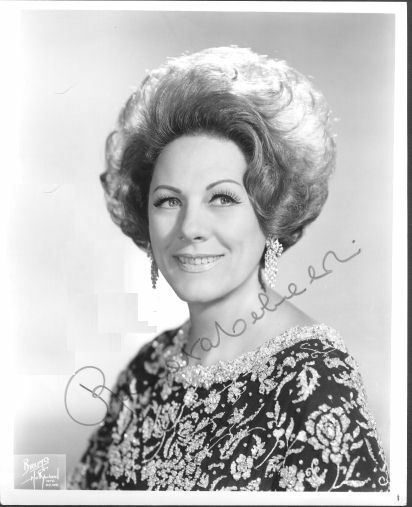 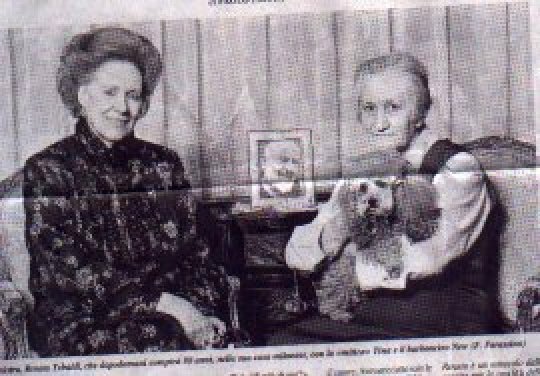 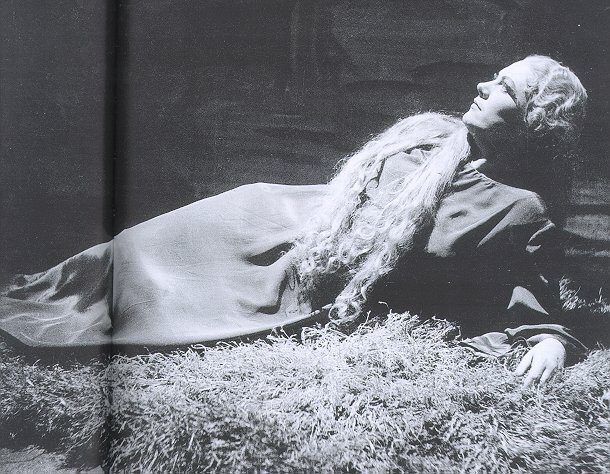 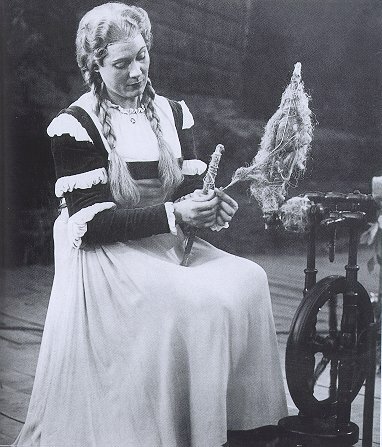 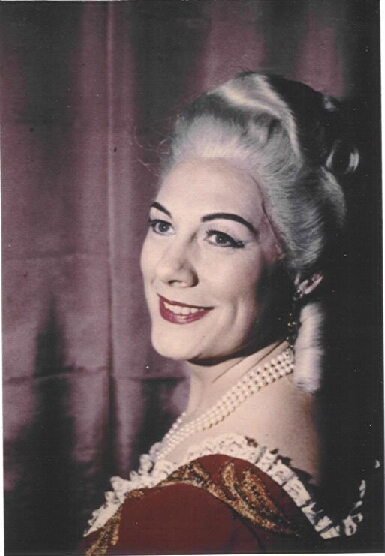 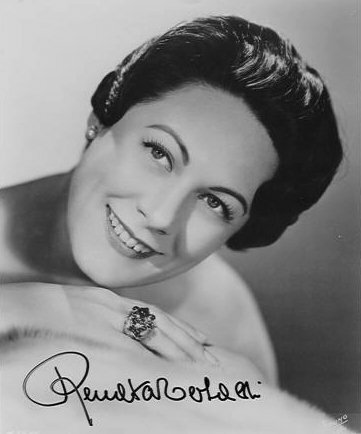 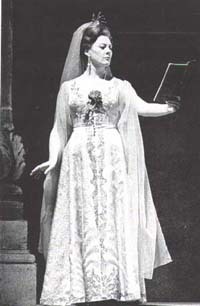 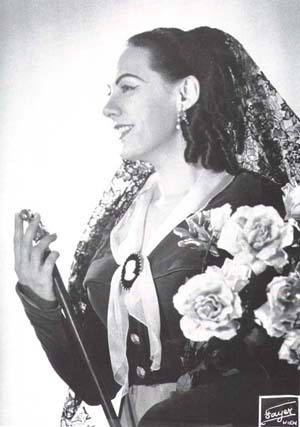 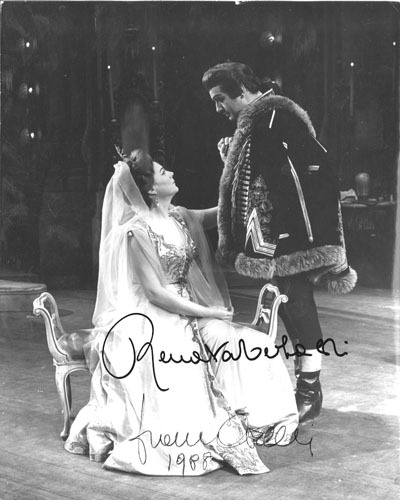 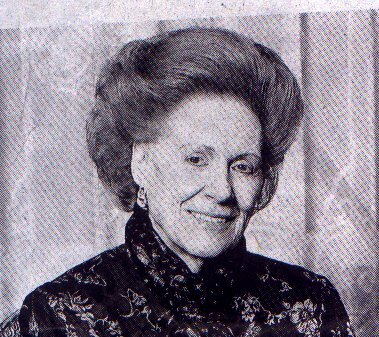 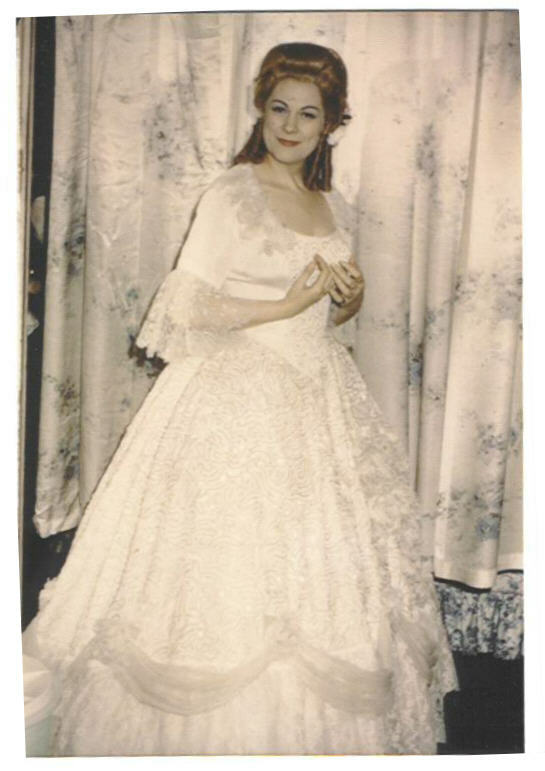 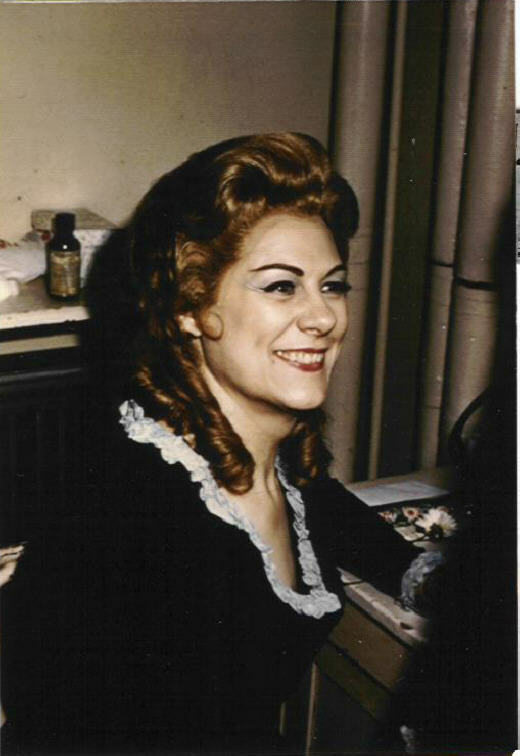 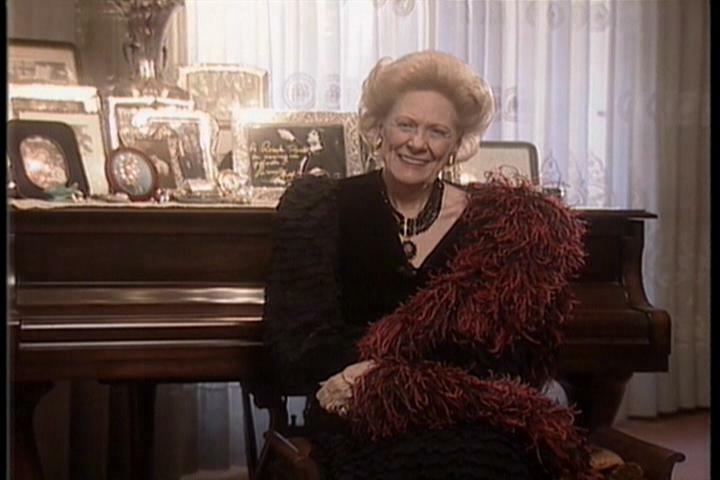 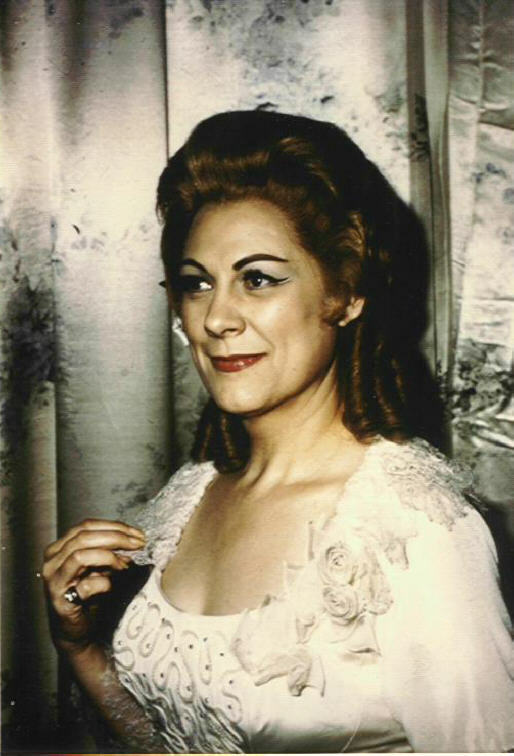 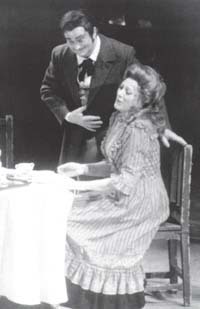 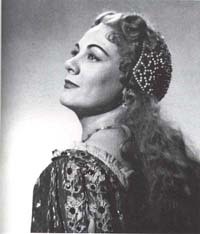 Renata Tebaldi has inspired many artists. 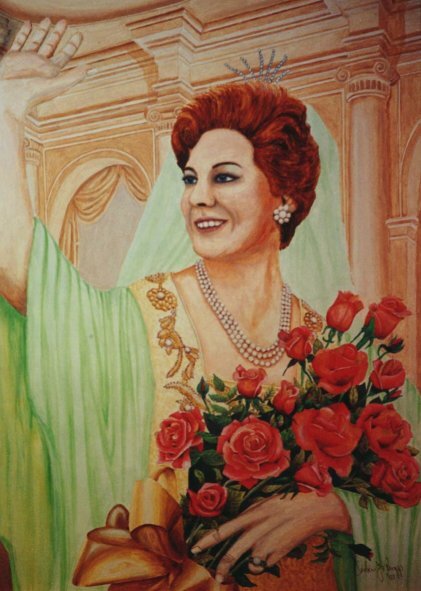 Below are three paintings by two of her admirers. 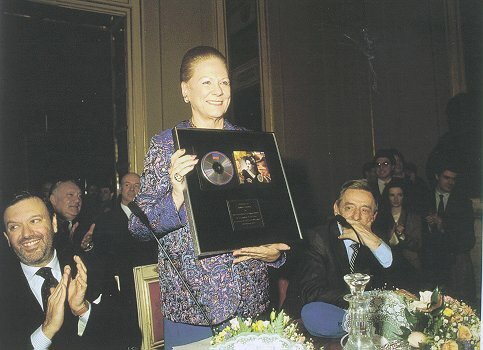 If you have one and would like to allow me to present it here, please contact me by e-mail. 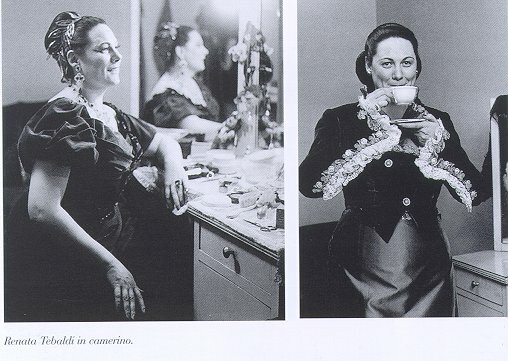 * = Thanks to Phil Rowin for these unique photos! 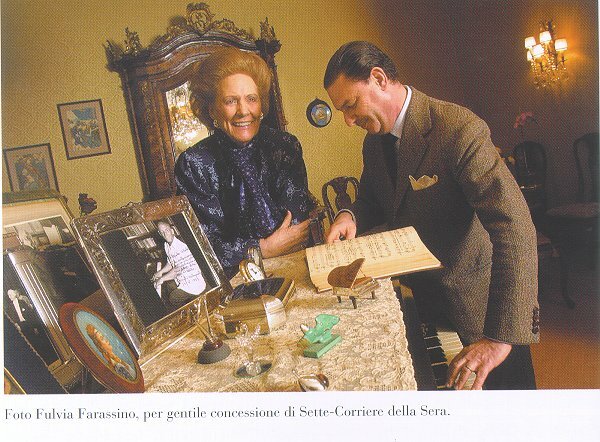 ** = Thank you Judith for the photo of the Tebaldi rose! 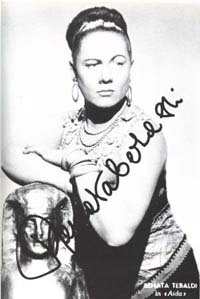 *** = Thanks to Stu Naidich for this picture! 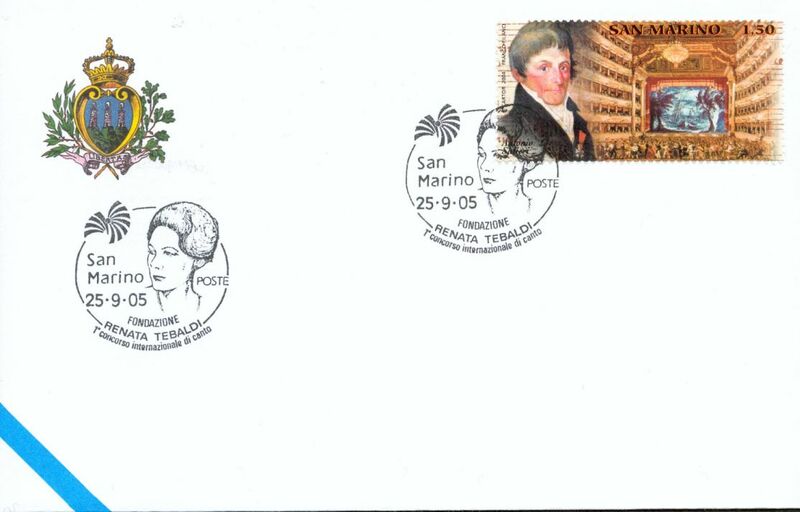 **** = These are from Felipe Cunha, thank you! 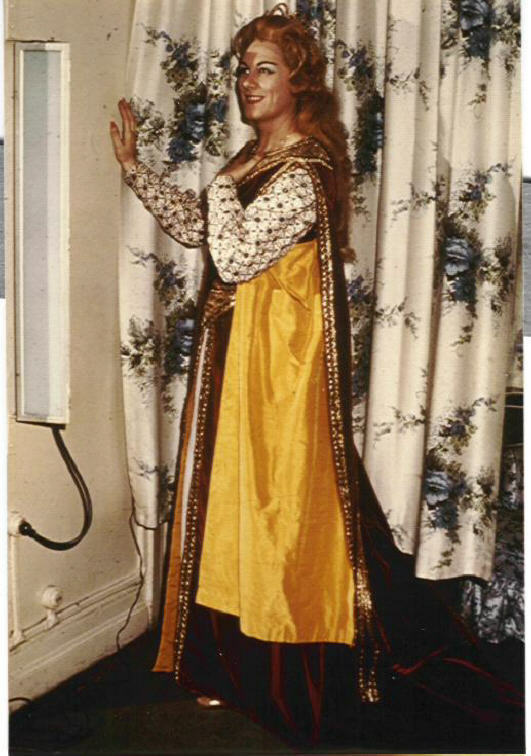 + = My thanks to Andy Knapp for this image! 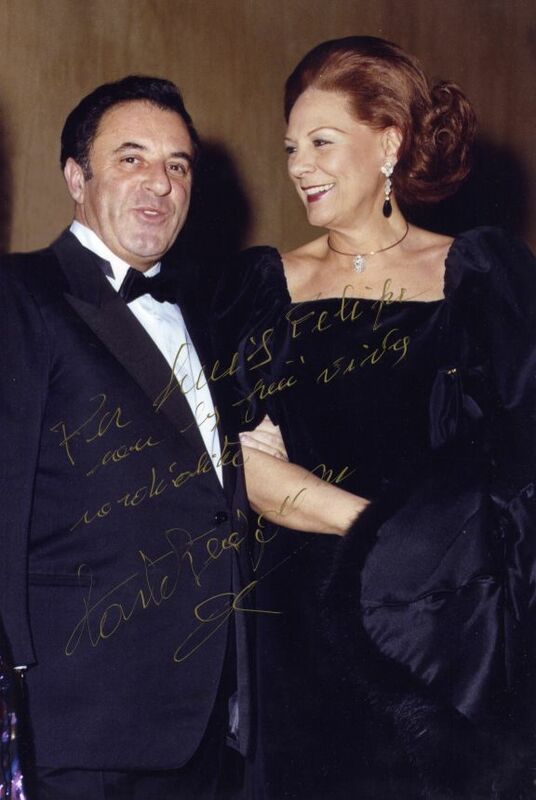 ++ = Dan Kelso contributed this, thank you! 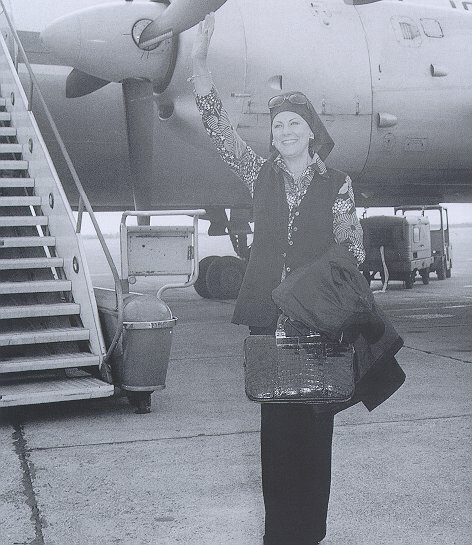 +++ = Thanks to Mateusz Tarnawski for these photos! 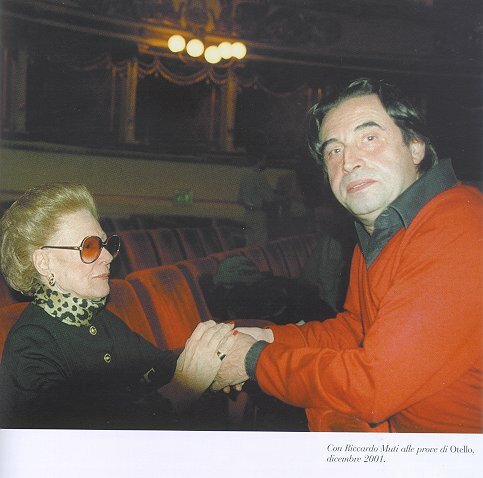 ++++ = Thank you to Otto Thiel, a friend of Carlo Bergonzi, for the photo!